... and I have the prize to prove it! This is off of ronpaulforum.com's Best Pic EVARR thread so I can't take credit for it, but it is worth sharing. 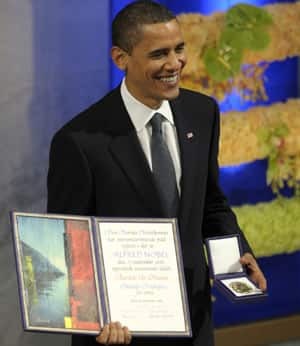 How does a man who continues WARRING deserve a PEACE prize? Henry Kissinger got the Nobel Peace Prize too.